Have you ever roasted a whole chicken? I hadn’t until about 6 months ago. There are some benefits to roasting the whole bird rather than just cooking up chicken breasts all the time. First, you get a variety of meat; i.e., wings, drumsticks, and the thighs, along with the breast. Second, you can save the chicken frame and make homemade bone broth, which is very nutritious. And third, you’ll most likely have leftover meat that you can use for another one or two meals during the week. This recipe calls for a low-temperature, slow bake because it’s a great recipe for roasting a pasture-raised chicken. Pasture-raised birds aren’t given growth hormones and they run around freely rather than sitting in a cage all day. So their breasts are smaller and their meat is not as tender when roasted quickly at hot temperatures. Clay bakers are an excellent way to roast chicken because they hold moisture while still letting the skin brown. Buy a pasture-raised whole chicken and try out this method. 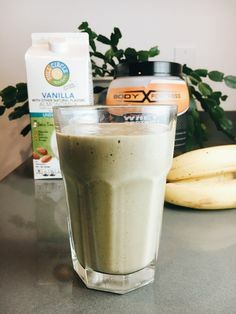 It will become a staple meal in your home! Thoroughly rinse the chicken inside and out with cold water and pat it dry. Truss it with cooking twine. Brush the entire outside of the bird with olive oil. Place the carrots and onion in the bottom of the baker. Place the chicken on top of the carrots and onion in the clay baker, cast iron pot with lid, or other lidded baking dish. Pour ¼ cup chicken broth into the bottom of the baker. Place the covered chicken in the oven and cook at 275 degrees F for about 3 hours. Do not preheat the oven if using a clay baker. Increase the heat to 375 degrees F and continue roasting covered for 30 to 45 minutes. Remove the chicken from the oven and let it sit for 5 to 10 minutes before carving and serving. Save the chicken frame to make homemade roast chicken stock. 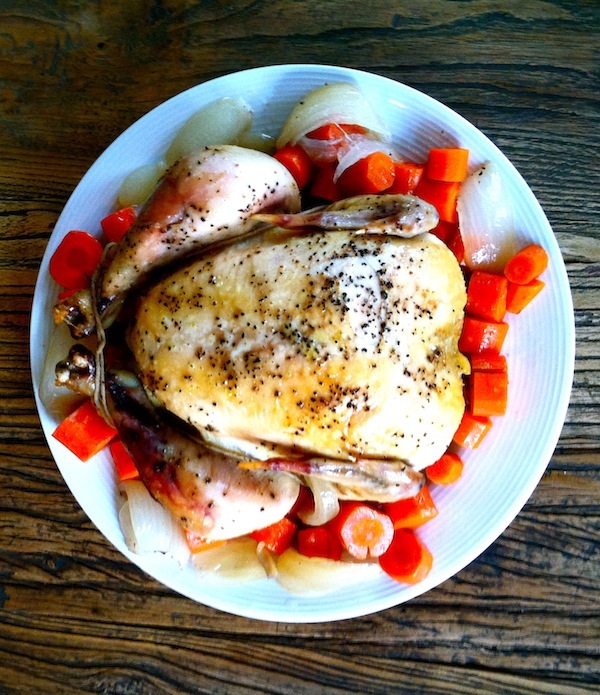 *Adapted from Easy Roast Chicken Recipe by Nourished Kitchen.